Featuring the top BPO companies in the Philippines. Learn how to scale your business effectively and succeed through outsourcing. On every list of the world’s top outsourcing hubs, the Philippines always shows up. Not surprising at all—the booming Philippine BPO industry enjoys unstoppable growth, even with the emergence of new technologies (aka threats) like automation. 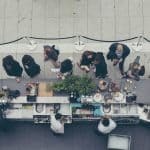 What does it mean for your business? 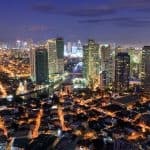 Outsourcing to the Philippines can benefit you better than keeping all your business processes in-house. Before jumping in, understand everything about business process outsourcing to the Philippines and how to succeed in it. Get started with this comprehensive guide. What is Knowledge Process Outsourcing (KPO)? KPO vs. BPO: What's the Difference? The Philippine BPO industry has come a long way since the first call center started in 1992. Over the years, this sector has grown steadily and earned a reputation as a global leader. The Philippines ranks seventh among the world’s top outsourcing destinations, according to the 2017 A.T. Kearney Global Services Location Index. The country ranking is based on financial attractiveness, people skills and availability, and business environment. 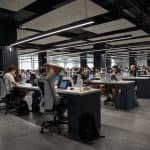 The Southeast Asian country is the world’s undisputed call center capital—overtaking closest rival India—with 16% to 18% of the global market share. Six Philippine cities made it to the 2018 Tholons Top 100 global outsourcing destinations: Manila (second), Cebu (11th), Davao (75th), Sta. Rosa (87th), Bacolod (89th), and Iloilo (92nd). The city ranking is based on digital transformation, talent skills and quality, costs, ease of doing business, and other outsourcing-related factors. The United States is the country’s biggest outsourcing client, making up around 65% of the local BPO market. BPO companies in the Philippines also serve a growing number of clients from Europe, Australia, and New Zealand, according to a Reuters report. The Philippines is home to 851 registered BPO companies, more than half of which are call centers (429), based on the latest Philippine Statistics Authority (PSA) data. Almost 400 (46.2%) firms provide computer or IT-related services. Twenty are medical transcription businesses, while nine are animated films and cartoon production houses. The Contact Center Association of the Philippines expects an annual 7% to 9% call center industry growth, higher than the expected 6% to 7% growth for the global industry. The BPO industry is the country’s top foreign exchange earner aside from remittances from overseas Filipino workers, bringing in more than Php 1 billion total revenue. The Philippine central bank expects a 10% revenue growth in BPO services to US$24.4 billion for 2018, noting its 7.5% revenue increase in the first quarter of the year. The BPO sector’s valuable role in the Philippine economy got recognition from no less than President Rodrigo Duterte, who cited it as among the largest contributors to the country’s gross domestic product. Latest PSA data shows that the BPO industry employs 575,600 workers, with a majority (87.6%) in call centers. Nearly 12% work in computer or IT-related firms, 0.5% in medical transcription, and 0.3% in animated films and cartoon production. BPO jobs are the most in-demand in the Philippines, contributing to the country’s 14% overall increase in job openings, according to Jobstreet.com Job Outlook Report. Apart from call centers, most BPO job postings are from IT, accounting, and finance. BPO industry officials expect almost 700,000 additional opportunities for medium and high-skill jobs by 2022.
Business process outsourcing or BPO refers to subcontracting a company’s non-core functions to a third-party service provider. Put simply, it involves hiring another company to perform business processes such as customer service and human resources management. This allows businesses to focus on product development, operational excellence, and other core business functions. BPO services consist of two broad categories: horizontal and vertical. 1. Horizontal BPO – Function-specific services performed across various industries or business types. Examples: HR, IT, and procurement. 2. Vertical BPO – Industry-specific services that specialize in a certain industry. Examples: finance, legal, and healthcare. The most popular type of BPO in the Philippines, call centers provide both voice and non-voice service for telemarketing, lead generation, market intelligence, inbound and outbound sales, customer care, and technical after-sales support. This type of BPO service specializes in documentation, including filling and processing of forms, data capture and compilation, creating databases, and updating online catalogs. IT outsourcing consists of IT infrastructure and IT-enabled services. Specific IT services include help desk support, network and server administration, software development, and data center management. Outsourced procurement services manage a client’s purchasing costs, supplier relationships, and other purchasing requirements. They usually include transaction processing support and supplier selection, assessment, and monitoring. Knowledge process outsourcing or KPO involves hiring a third-party vendor to perform core, knowledge-based business functions that require highly specialized expertise such as digital marketing, healthcare, and banking. Companies that lack skilled workers and want to minimize operational costs turn to KPO, hiring cheaper yet highly skilled professionals in another location. KPO vs. BPO: What’s the Difference? Although KPO is a subset of BPO, these two outsourcing methods differ in their expertise for performing business functions. BPO requires process expertise, such as handling customer inquiries, which newly hired workers learn through training. BPO companies hire Filipinos with a bachelor’s degree in a relevant field. KPO demands in-depth knowledge expertise that directly contributes to a business’ core function. Knowledge Process Outsourcing companies hire people with technical and analytical skills, superior academic qualifications, and extensive training in their field. Most healthcare KPO companies in the Philippines offer medical transcription services. Banking and finance KPO providers serve banks, insurance firms, and other financial institutions. They hire workers with a degree and license in accountancy, plus banking, investment, and taxation knowledge. Digital marketing agencies in the Philippines help businesses engage with their online audience to attract customers and increase sales. Legal BPO is becoming more popular in the Philippines. US-based law firms choose the country for their process outsourcing needs because of the legal education alignment of these countries. The animation process is expensive and labor-intensive. This is why businesses outsource their animation projects to the Philippines where highly skilled and creative animators charge lower costs. KPO providers of this kind offer animations in 3D, motion graphics, Flash, and cartoon characters. Cost-effectiveness is the biggest reason companies prefer the Philippines over other offshore locations. Not only large companies reap the benefits of outsourcing to the Philippines. Startups with smaller budgets can do so, too. A business that outsources to the Philippines can save 50% to 80% on labor and infrastructure costs compared to setting up an onshore office. Salaries, overhead costs, and the overall cost of living are significantly lower in the Philippines than in the United States and other Western countries. The lower exchange rate of the Philippine Peso versus the US Dollar and other currencies also makes doing business a lot cheaper in the Philippines. But the Philippines’ greatest BPO advantage lies not only in cost reduction. In fact, it isn’t the cheapest BPO location in the world. Labor and infrastructure costs are slightly lower in India, Vietnam, and Sri Lanka. Also, internet connection and utilities are expensive in the Philippines. Still, the Philippines is a top outsourcing location because Filipino workers deliver topnotch quality, according to the Information Technology-Business Processing Association of the Philippines. 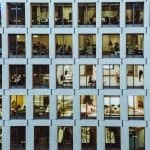 A US-based Meta Group study ranks the Philippines in fourth place among countries in Asia with the highest labor quality. The study also notes the country’s high number of skilled workers and availability of knowledge-based jobs. Access to a highly skilled workforce is one thing. Effective communication with workers is another. English proficiency is the Philippines’ biggest edge over many top BPO locations worldwide. With a high score of 60.59, the Philippines ranks third in Asia and 15th in the world for English proficiency, beating other BPO powerhouses like India (56.12) and China (52.45). Also, the A.T. Kearney study notes that the neutral accents of Filipino BPO workers—especially call center agents—are closely aligned with American customers. More than 400 years of Spanish and American rule put the Philippines at a cultural advantage. Its culture and values are compatible with those of Western countries. Even today, Filipinos’ exposure to Western media and culture—combined with influences from neighboring Asian countries—makes them easily adjust to different cultures. Filipinos are also cheerful, empathetic, and hardworking. These qualities are crucial when dealing with customers from different cultures. For companies outsourcing their operations, working with Filipino BPO workers makes cross-cultural management a breeze. The Philippine BPO industry gets strong support from the government. The most notable is its data privacy law, which is critical for companies sharing sensitive business and customer data with third-party vendors. Considered a measure that boosts the BPO industry in the Philippines, the Data Privacy Act assures foreign companies that the country complies with the International Data Privacy Standard. The Philippine data privacy law requires all BPO service providers to protect their clients’ confidential data against security threats. 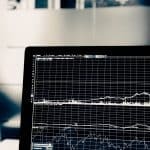 This is especially important for businesses that outsource their banking, finance, HR, healthcare, and other functions that involve sensitive data. Another form of government support for the Philippine BPO industry is the Special Economic Zone Act that provides tax incentives, exemptions, and other privileges to foreign investors. Accenture is a global firm that’s on the Forbes Global 2000 list of the world’s largest public companies and Fortune’s World’s Most Admired Companies list. In the Philippines, Accenture is one of the BPO companies with the highest revenues. Aside from outsourcing services, its Philippine office also provides consulting services in customer relationship management, operations, risk management, and related areas. 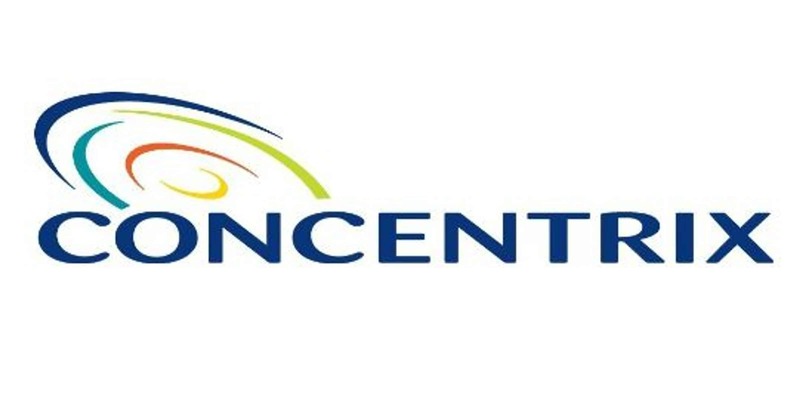 With its recent acquisition of Convergys, another BPO giant in the Philippines, Concentrix is now the world’s second biggest customer engagement service provider. The global business services company helps improve customer experience in various industries, including e-commerce, healthcare, banking and finance, electronics, and automotive. TeleTech Customer Care Management Philippines is a customer experience provider that helps banking and finance, automotive, healthcare, telecommunications, and hospitality businesses connect with their customers through AI and CRM solutions. TeleTech’s workforce serves the Australian and New Zealand market. The company’s reputation as an employer of choice in the Philippines enables it to attract high-quality talent with in-depth knowledge in IT, sales, and customer support. Sitel Philippines Corporation, established in 2000, provides customer care solutions to manufacturing, communications, finance, technology, retail, and many other industries. Started in 1997, SYKES is the first multinational BPO company in the Philippines. Today, it serves mostly Fortune 500 companies in finance, healthcare, communications, technology, and other industries. Alorica specializes in customer relationship management throughout the customer lifecycle, from acquisition and sales to logistics, fulfillment, and customer care. Its client base consists of B2B and B2C companies in technology, finance, healthcare, communications, and retail industries. 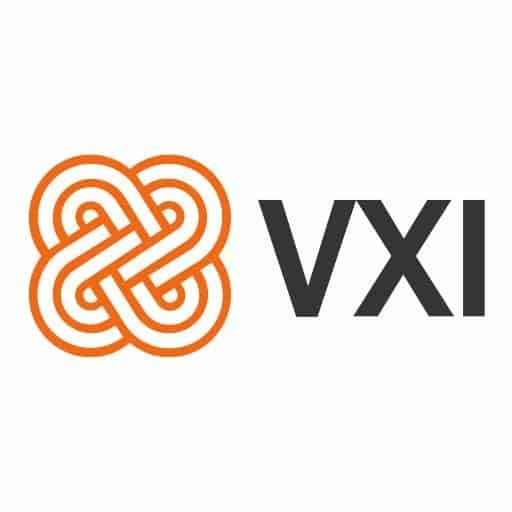 VXI has been operating in the Philippines since 2003, providing call center and IT services to tech, finance, and telecommunications companies. Teleperformance is a global outsourcing provider of omnichannel customer experience management services. It’s one of the popular call centers in the Philippines, with nearly 20 offices spread across the country. TaskUs is a California-based global BPO company with five offices in the Philippines, providing customer care and back-office support to startup businesses. Its clients save 43% on operational costs compared to retaining their business functions in-house. 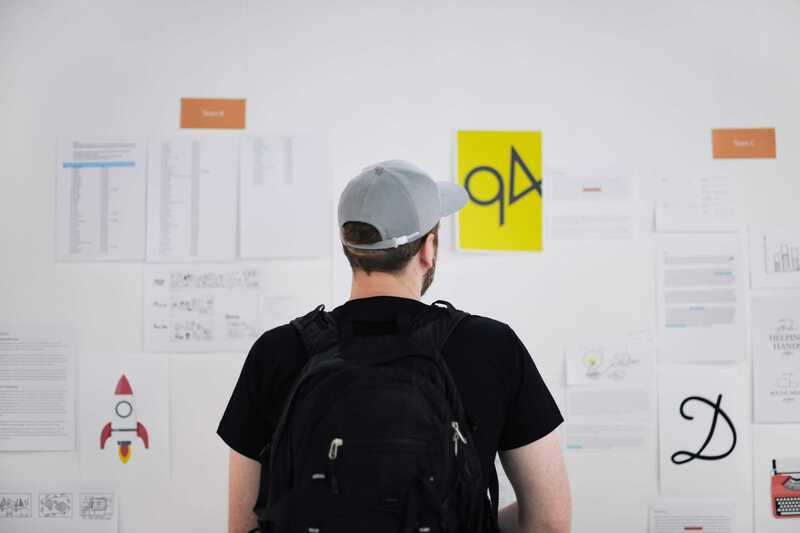 August99 specializes in digital marketing with a team of dedicated designers, developers, SEO and PPC specialists, and web copywriters that help businesses build user-friendly websites. Sourcefit provides offshore staffing services tailored to its clients’ business needs. It offers cost-effective recruitment services, sourcing top-level workers in the STEM (science, technology, engineering, and mathematics) fields and other industries. Made up your mind about outsourcing your business functions to the Philippines? Take these steps to maximize your cost savings and ensure a smooth offshoring experience. This outsourcing guide is just an overview of the BPO landscape in the Philippines. You still need to do in-depth research on your own to deeply understand how it works in relation to your specific market or industry. 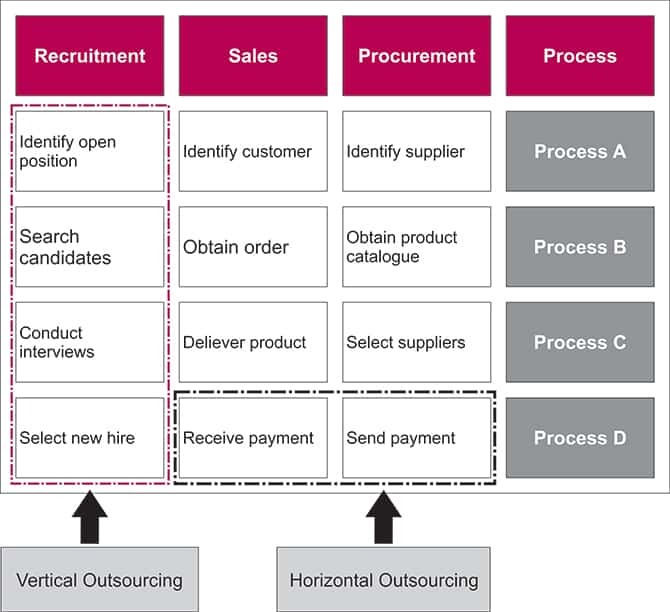 Which of your business processes or functions will you outsource? Which ones to keep in-house? Will you outsource only the non-core processes or include the critical ones? Whatever your preferences are, clearly define the work you want to outsource, so you can find the right BPO company for the job. This involves making a detailed description of the scope of work, including responsibilities and deliverables. Also, be specific about the type of BPO service you need. For example, you might require 24-hour customer service, customer engagement on various social networks, or Magento development for an e-commerce site. This is especially important if the business processes you’re going to outsource requires technical expertise and specialized tools. List down the equipment and software needed to perform the tasks you identified in the previous step. The items on your list may be provided either by you or the BPO company (the cost of which will be included in its service fee). 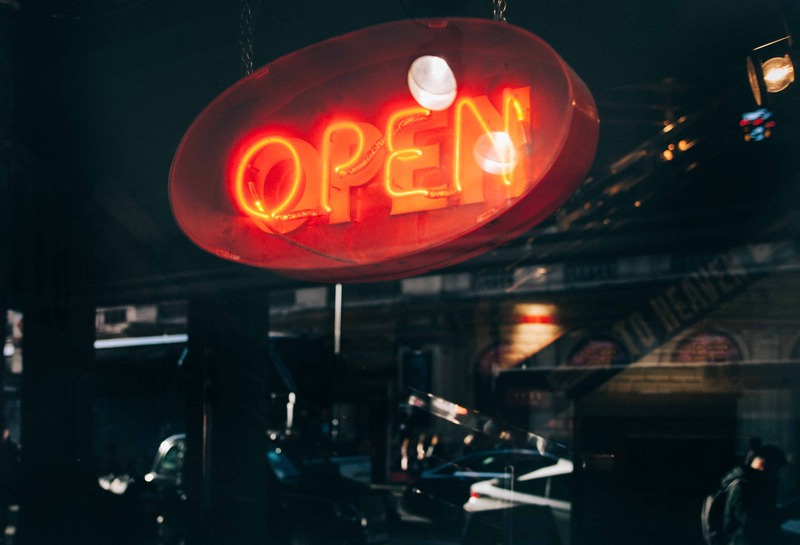 Aside from helping you set the right budget, your list of tools for the outsourced work will help you narrow down your options for BPO providers that offer most (if not all) of the necessary equipment and software to complete the job. Estimate the amount of time needed to complete your project or milestones—from contract signing up to project completion. This way, you’ll know how many workers you need and the budget to get everything done according to schedule. From the get-go, have a clear idea of how many BPO workers and the expertise level you need to perform your outsourced business processes. For instance, do you need skilled beginners or experienced senior-level workers? Be meticulous about your manpower requirements to avoid costly mistakes, like hiring the wrong persons for the job and underestimating the number of workers you need. Based on your outsourcing requirements, create a realistic monthly budget. It should be detailed enough to allow you to monitor all your outsourcing expenses and measure the return on investment of outsourcing to the Philippines. As soon as you’ve finalized your outsourcing requirements and budget, you can begin requesting cost estimates from your shortlisted BPO companies in the Philippines. Aside from the cost, find out how you’ll be charged. Outsourcing providers use different pricing models. Some companies have a fixed monthly rate per worker, while others charge a one-time service fee. 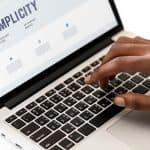 This means you can’t make an apple-to-apple comparison, as the service provider with the lowest rate isn’t necessarily the most cost-effective option for your BPO requirements. Carefully weigh the pros and cons of partnering with your prospective outsourcing companies in the Philippines (See tips in the next section). Once you’ve picked the best BPO service provider, properly document everything you’ve agreed upon. Also, make sure to sign a non-disclosure agreement (NDA) with the BPO company before any outsourcing work starts. This agreement ensures protection for your proprietary or confidential business data. Except for the location and time zone, there shouldn’t be any difference between hiring in-house staff in your country and offshore staff in the Philippines. So when choosing the right outsourcing partner, be as strict and meticulous as when you’re screening your own employees. Check the websites of BPO companies that serve clients in your industry or business function. Even better, communicate directly with company representatives using VoIP, video conferencing tools like Skype, or any online communication tool. Don’t just read client testimonials on the websites of your prospects. Search elsewhere for reviews and feedback on other clients’ experiences outsourcing to the firms in your shortlist. Do they have proven track record for efficiency and client satisfaction? Ask also for recommendations from your friends and industry peers. Talk to the current and past clients to know about the partnership and if they’re pleased with the results. While your budget is a primary consideration when choosing a BPO company, your choice shouldn’t depend only on the cost. Find an outsourcing partner that offers a balance between cost, experience, knowledge, and track record. Delegating your business processes to a BPO company in the Philippines can be a great investment. You can benefit from the cost savings, a highly skilled workforce, and an attractive business environment in the country. But that doesn’t mean any service provider is a good fit for your outsourcing needs. Choose your outsourcing partner wisely to maximize your gains and minimize risks. Venus Zoleta is an experienced writer and editor, specializing in personal finance and digital marketing. Hoping to retire early, she started investing and bought a home in her early 20s. This crazy cat mom eats ramen like there's no tomorrow. Stalk her on LinkedIn. I am a real estate agent that needs a remote admin for back end work. They would be handling transaction coordination and speaking with clients via email and sometimes phone. My budget is $3 per hour and willing to incentive with a bonus per transaction. We did over 50+ transactions this year. Would this allow me to lower my upfront costs?